Mundosparalelos Information Dance Plymouth Pole Cats, allergies & lovely Plymouth ladies. Cats, allergies & lovely Plymouth ladies. 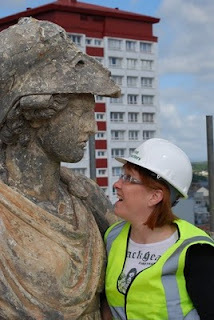 Picture from the Plymouth post taken by Nic Randall of Beauty and Cranberry. 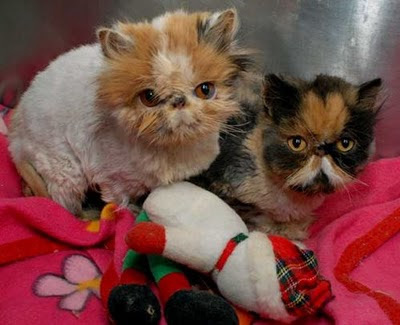 I couldn't blog today without mentioning the sad tale of 100 persian cats found in dog crates in Cornwall recently. Sadly 2 of the cats have already died but the rest are doing well and responding to some TLC. Gables Farm are still looking for homes for these gorgeous creatures, click here for the full story and the rather cute video or click here to contact Gables Farm if you are interested in adopting a cat. 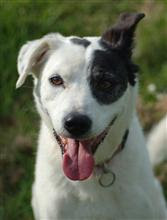 Woodside Animal Sanctuary also have lots of dogs, cats and rodents ready for adoption including Sparky pictured below right. The subject of cat and dogs brings me perfectly onto the topic of allergies! Thanks to Teresa jackson for sending me an article from the online nure practitioners website. The article talks about unusal allergies such as allergies to money, mobile phones and water, it is well worth a read. Click here for the story. I was thrilled to read in this week's Herald about the success of local artist Kasia Andrews. I had the pleasure of working with Kasia lat year when she came to my studio to photograph Jo, Tamar and I for a pending project. Kasia received the national Art Liberating Lives portrait award a during her exhibition at the Sue Ryder Care fundraiser at the Mall Galleries in London. Click here for the full story. A huge congratulations goes out to Kasia for her well deserved award and I look forward to working with her again in the near future. Another lovely lady who deserves a mention is the gorgeous Mia Gilson (pictured right) who will be singing her heart out tonight at the Royal William Yard with the Complaints Choir. Mia, who has been working relentlessly on the restoration of the Devonport Guildhall and has somehow found time in her busy schedule to join the Complaints Choir, she will be performing tonight from 6.30pm. Good Luck Mia x.
I hope to blog again soon on the slightly more controversial topics of Millitant Islam and the English Defence League. If you want to learn more on these subjects in the meantime why not tune into the BBC Asian Network for some interesting debates and some great bhangra. Well that is enough work avoidance for me, I must do some work on the Pole Dance Community website (Please note that you can use the PDC website to donate to the Oxfam Haiti emergency appeal) before my pole practice with Sue and Tamar this afternoon.